Yesterday we began a discussion on Paragon’s San Francisco Neighborhood Appreciation Rates report. Let’s continue that discussion today to give a little bit more context to the appreciation rates. The chart that accompanies this article should shed some light. It delineates actual 2014 year-to-date median home sales prices, showing that in the second half of this year appreciation generally flattened or even ticked down a little in the city’s more expensive areas following a frenzied spring market. However, appreciation continued to tick up in the more affordable areas. It’s good to keep in mind, though, that the pricier areas started to recover much earlier than the less affluent areas. It’s also key to remember that dollars are more real than percentages. It’s certain to catch your attention when you hear that a home has jumped hundreds of thousands of dollars in value in a relatively short time. You won’t necessarily be caught that much by a statement of percentage. In the higher-priced neighborhoods, there are sometimes lower percentage appreciation rates than less expensive areas, but the dollar amounts are what grab you. 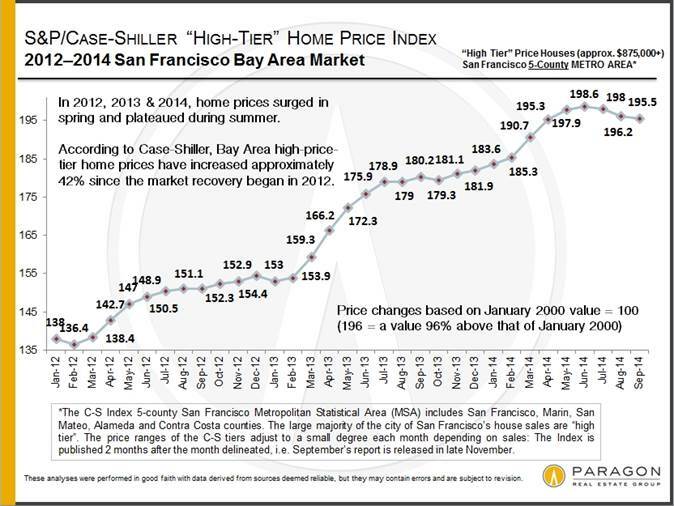 Take Pacific and Presidio Heights, where the theoretical median house now goes for more than $1.3 million more than just three years ago. 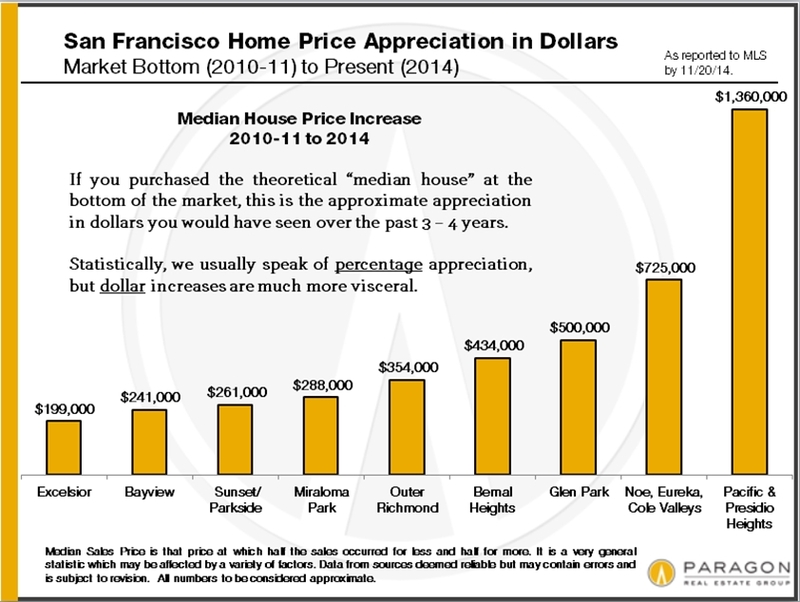 That increase in Noe, Eureka and Cole Valley is more than $700,000. Got your attention? The less affluent neighborhoods in the city saw much bigger bubbles – largely thanks to subprime lending – and subsequently much bigger crashes. 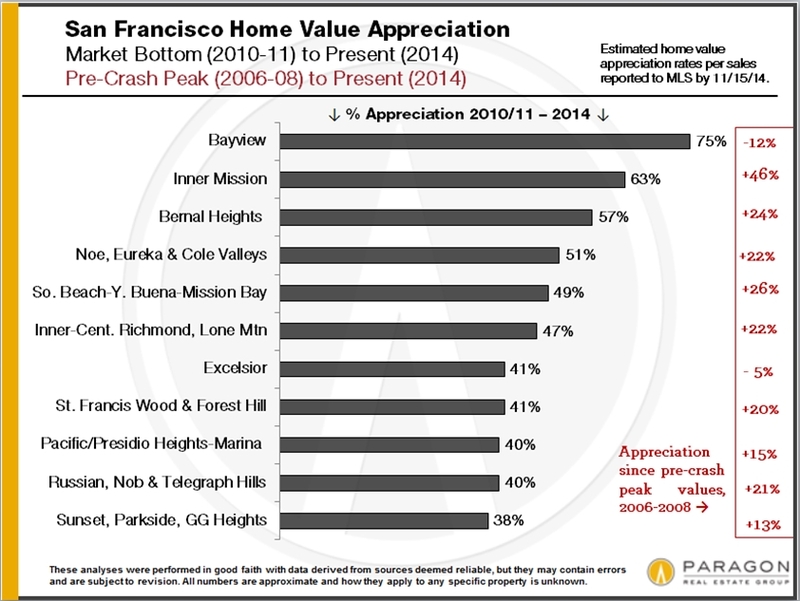 In the Bayview, for example, there was an amazing 136 percent appreciation from 2000 to 2006, followed by a huge 50 percent drop from 2006 to 2010/2011. As I mentioned yesterday, on average the city’s home values have now gone up 40 to 50 percent over the past three years, with some neighborhoods stronger than that general range. Which neighborhoods have appreciated most? 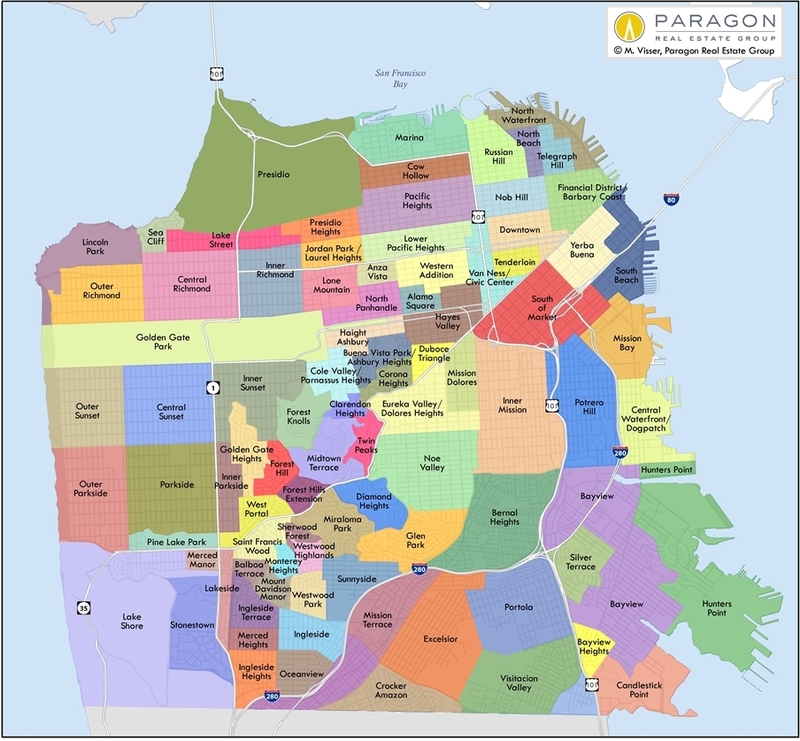 Paragon has released its San Francisco Neighborhood Appreciation Rates report, which raises the question of which neighborhoods have seen the most appreciation and why that is the case. Keep in mind that this analysis is based upon review of both median sales price as well as average dollar-per-squre-foot data. That said, there is no one city or neighborhood median or average home that can be used as an unchanging basis of comparison year after year, only differing collections of unique homes that are selling in different times and circumstances. The chart that accompanies this article illustrates approximate home value appreciation from the bottom of the market (2010-2011) to present as illustrated by the dark gray bars as well as the overall appreciation or depreciation to date since the last market peak (2006-2008) as illustrated by the red numbers. Over the past three years, San Francisco neighborhoods have seen typical appreciation ranging from 40 to 50 percent, with an overall increase of approximately 44 percent. 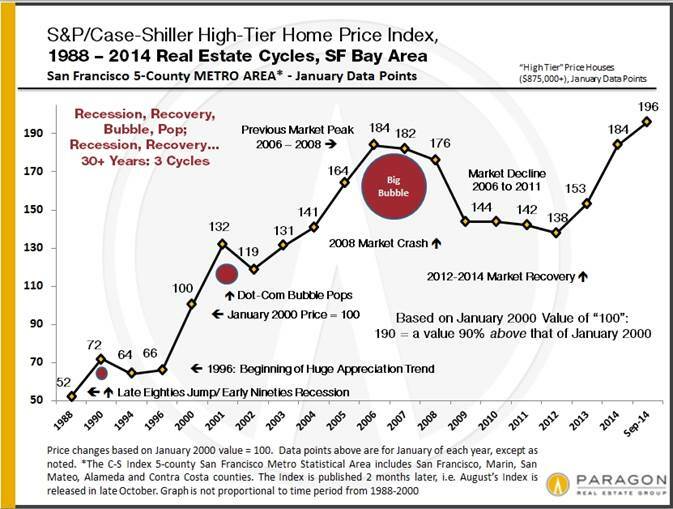 So what are the three neighborhoods with the highest appreciation rates from bottom of the market to present? 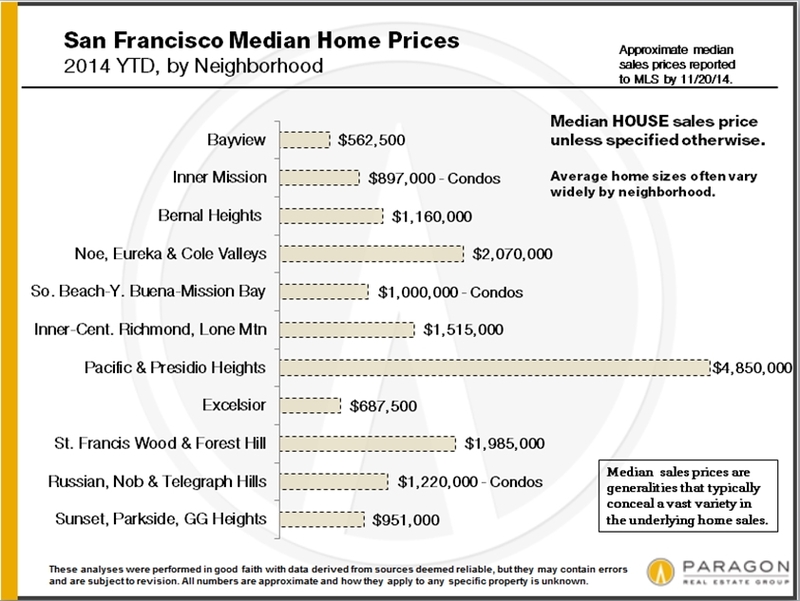 Bayview: This neighborhood is up 75 percent from 2010-2011. However, it’s still down 12 percent from its market peak in 2006. Its bubble was huge thanks to subprime lending and its market crashed terribly when that bubble popped. Now that subprime lending has disappeared, Bayiew’s recovery has been equally dramatic. Inner Mission: Here we’ve seen an increase of 63 percent from 2010-2011. That’s up 46 percent from the pre-crash peak of 2007. The huge change in buyer demographics over recent years explains its incredible appreciation rate as young, hip, affluent high-tech buyers are now flocking to the area, which is seeing expensive new condo projects aplenty. 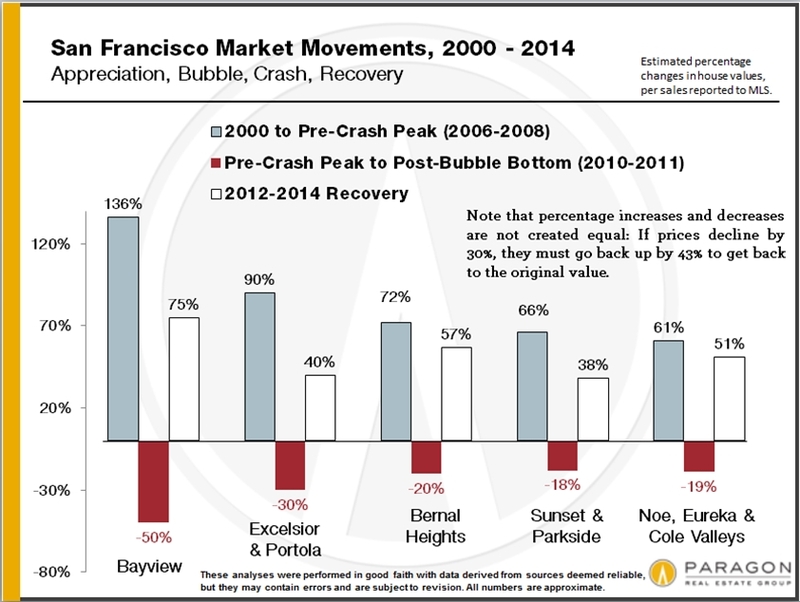 Bernal Heights: Bernal is up 57 percent since the market bottomed out and up 24 percent from its previous market peak in 2007. It’s become extremely sought-after for buyers who love Noe Valley but have been priced out of there. Should I go for the last homes in a new development? I recently received notice that Millwheel North’s last unit is for sale. This is in a super-hot neighborhood: Dogpatch. The homes have the kind of proportions that make you dream of roller-skating in the living room, with hardwood floors, high ceilings and generously sized bathrooms with deep bathtubs. We’re talking good stuff, people. This particular unit features three bedrooms and three bathrooms. It’s got two master suites and is just a little more than 1,600 square feet – a lot for the city. There’s a large living room, dining room and kitchen, plus built-in counter space for display or a home bar. It’s worth noting that the last few homes left in a new-development project are often the best deals because the developer tends to be worn out by that point and ready to move on. That can translate to being ready to negotiate a better price. These “orphan” units also tend to hold up better than one might think on resale. I know that some of the last units available in a project have an ugly view on a trashy lot across the street, but area development can also make it fairly likely that this will change. 1) Weigh the pros and cons. Will new construction fit your lifestyle? Are you okay with waiting for landscaping to develop and with the fact that your home is very similar to those of your neighbors? 2) Research neighborhoods and builders. Due diligence pays off. 3) Understand what’s standard and what’s extra. You need to know what comes with the place and what’s considered an amenity or upgrade. 4) Get an inspection and a home warranty. Just because a home is newly built, that doesn’t mean it’s not going to have issues. 5) Close the deal. Read everything you’re given before you sign it. Once your name’s on the dotted line, it’s a whole different ballgame. 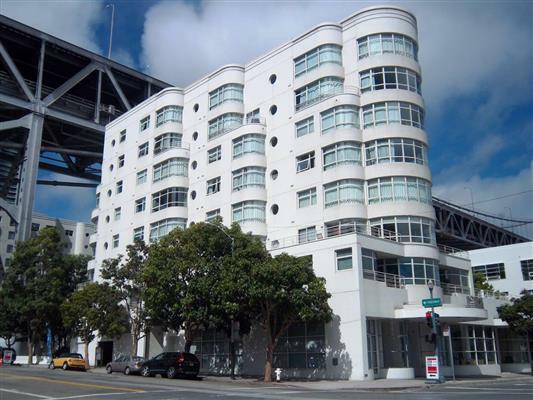 Late notice, I know, but I’m holding a twilight tour of my listing at 220 Lombard Street #114 tonight from 6 p.m. to 7 p.m. This unusual one-bedroom garden condominium retreat is set at the base of historic Telegraph Hill. A corner orientation offers enough room for both living and dining with a wraparound deck that provides outdoor space and overlooks a quiet courtyard that in due time will abound with greenery and plantings. 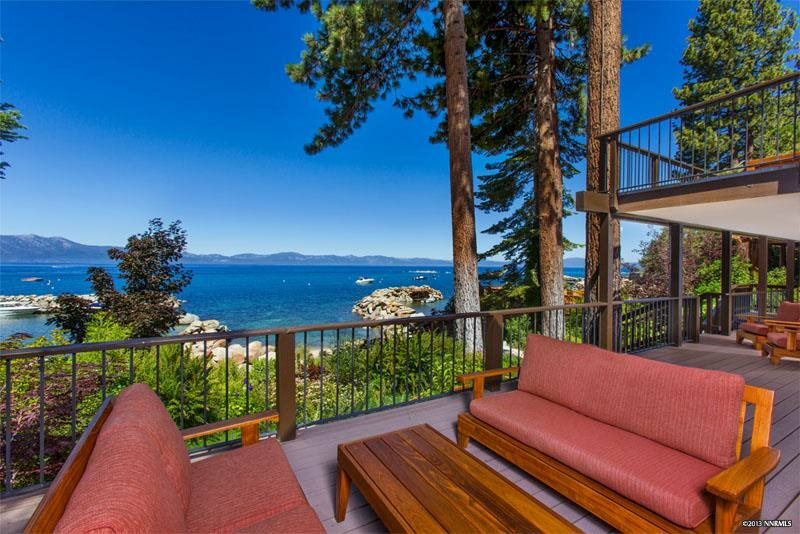 During the current owner’s tenure, the home saw upgrades that include hardwood floors and newer baseboards as well as upgrades to lighting and plumbing fixtures, a re-glazed tub and sink and new shower door. The appliances are stainless steel and the refrigerator is brand new. The new owner will also enjoy extra storage as well as parking for one car – especially helpful in this neighborhood. Homeowner’s dues are $695.68 per month; these include water, garbage, insurance and building reserves. Built in 1992, the Parc Telegraph condominiums boast a gracious street presence with an around-the-clock doorman as well as fitness center for sweating out the stress and clubroom that’s perfect for everyday gatherings with friends and neighbors. The complex also boasts a guest suite that can be reserved for visitors at a reasonable daily rate (imagine that – no in-house guests!). Telegraph Hill is a vibrant neighborhood that is one of San Francisco’s original Seven Hills. 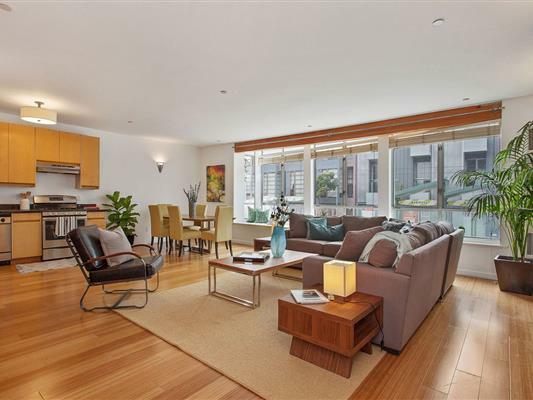 It’s quieter than adjoining North Beach but extremely convenient to the nightlife scene – without the hassle and noise. And don’t forget about the wild parrots! Visit www.220LombardStreet114 to learn more. Now that demolition of Candlestick Park has begun with the removal of the stadium’s seats, it’s becoming clearer what will replace it. Candlestick Point will now become home to a half-million-square-foot “urban outlet” shopping center, according to the San Francisco Chronicle. That shopping center will also encompass 6,000 homes and create more than 3,000 jobs. It is spearheaded by homebuilder Lennar Corp. and retail developer Macerich. “It’s a very urban kind of concept – rather different from a typical outlet center,” Lennar San Francisco division president Kofi Bonner told the Chron. Lennar is also finishing construction on the first 88 units at Hunters Point; these are collectiveliy called the Shipyard. That project will eventually include 1,400 homes in its first phase as well as 16 pocket parks and 25 acres of open space. An estimated one-third of the housing in Candlestick and Hunters Point Shipyard will be set at below market rate. Demolition crews are slated to begin demolishing Candlestick Park this winter, and that is expected to take three months. The eventual $1 billion investment over four years includes basic infrastructure and community sites such as police and fire stations. Lennar currently doing infrastructure work to completely rebuild the nearby Alice Griffith affordable-housing community, which will begin construction next year.